Bulimia nervosa involves episodes of binge eating followed by various means to purge the food. It is most common among young adult of college age, although some high school student are also at risk. A bulimic person may think of food constantly. In contrast to anorexic person who turns away from food when faced with problems, bulimics turn towards food in critical situations. Also unlike anorexics, bulimic people recognize their behavior as abnormal. These people often have very low self esteem and are depressed. Approximately half of the bulimic people have major depression. Bulimic people are usually female and are successful; they are usually at or slightly above a normal weight. 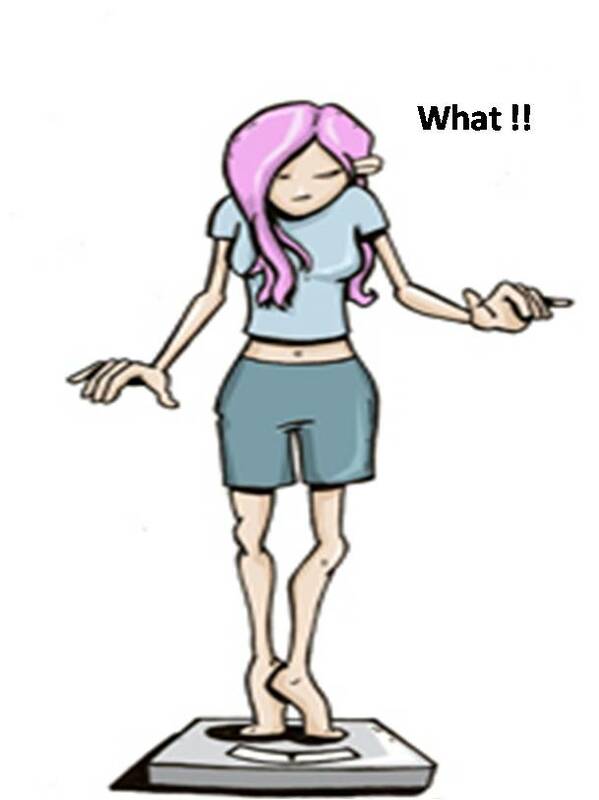 Female with bulimic condition are also more likely to be sexually active than those with anorexia nervosa. This condition is characterized by episodes of binge eating followed by attempts to purge the excess energy taken up by the body by vomiting or misuse of laxatives, diuretics, or enemas. Fasting and excessive exercise also may be used to compensate for the caloric excess. People with this disorder may be difficult to identify because they keep their binge-purge behaviors secrets, and their symptoms are not obvious. About 3 percent or more of adolescent and college age women suffer from bulimia. About 10 percent of the cases occur in men, especially athletes, who participate I n sport that require achieving lower weight to fit weight classes, such as boxers ,wrestlers, and jockeys. Some experts have suggested that part of this condition may arise from an inability to control responses to impulse and desires. Some studies have demonstrated that bulimic people tend to come from disengaged families-those that are loosely organized. Too little protection is provided for family members; rules are very lose, and a great deal of conflict exists. Therapy for bulimic people requires a team of experienced physicians. These patients are less likely than those with anorexia to enter treatment in a state of semi-starvation. However, if a bulimic person has lost weight, this must be treated before psychological treatment begins. Treatment for this condition should last for at least 16 weeks. Hospitalization may be indicated in cases of extreme laxative abuse, regular vomiting, substance abuse, and depression, especially if physical harm is evident. The first goal of treatment is to decrease the amount of food consumed in a binge session in order to decrease the risk of esophageal tears from related purging by vomiting. A decrease in the number of this type of purges will also decrease damage to the teeth. Although pharmacological agents should not be used as the sole treatment for bulimic conditions, studies indicate that some medications may be beneficial in conjunction with other therapies. Fluoxetine (prozac) is the only antidepressant that has been approved by FDA for use in the treatment of bulimic conditions; physicians also may prescribe other forms of antidepressants and related medications. Nutritional counseling has two main goals: correcting misconceptions about foods and restoring regular eating habits. Patients are educated about bulimia and its consequences. Avoiding binge foods and not constantly stepping on the scale may be recommended early in treatment. The primary goal is to develop a normal eating pattern. Thus some specialists encourage people with bulimia nervosa to develop daily meal plans and keep a food diary in which they record food intake, internal sensation of hunger, environmental factors that precipitate binges and thoughts and feelings that accompany binge-purge cycles.